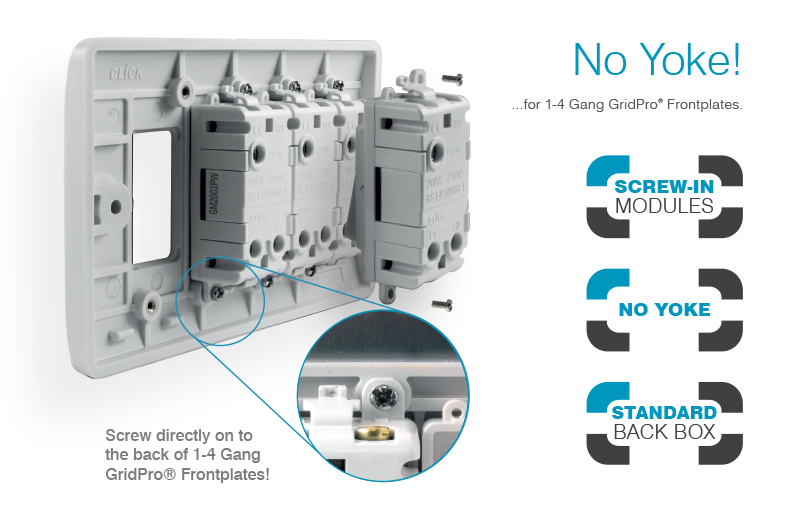 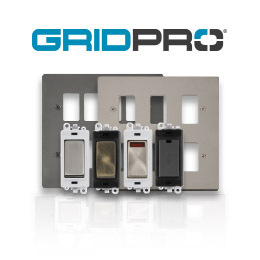 Introducing the new range of CLICK® GridPro® Frontplates and modules. 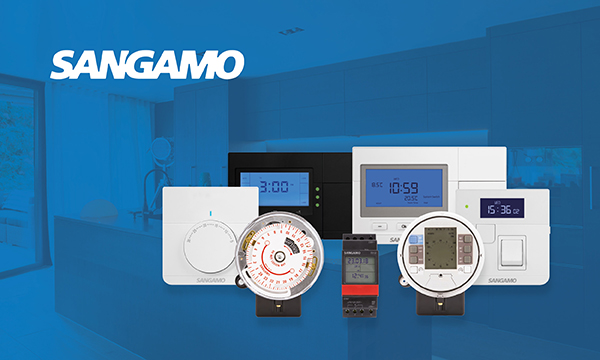 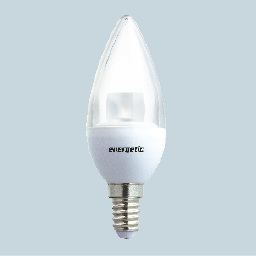 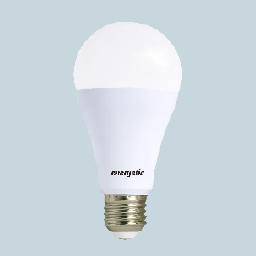 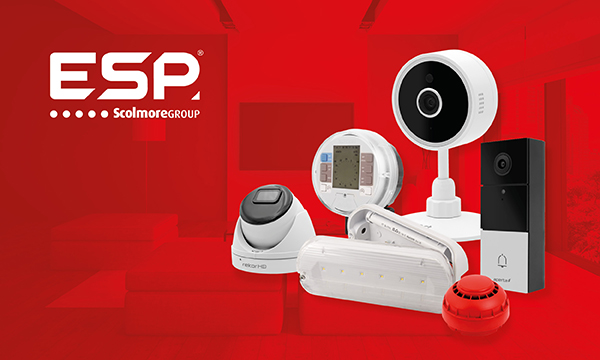 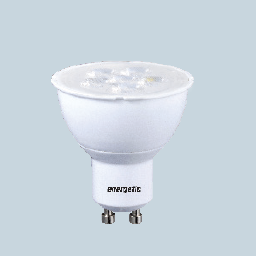 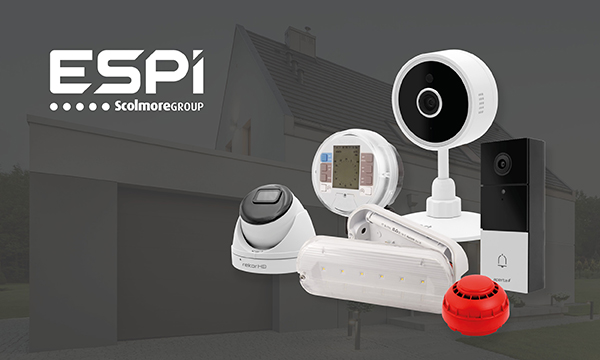 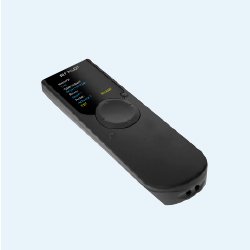 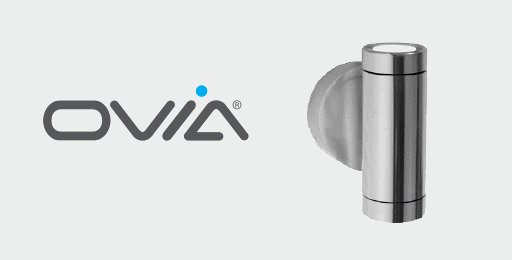 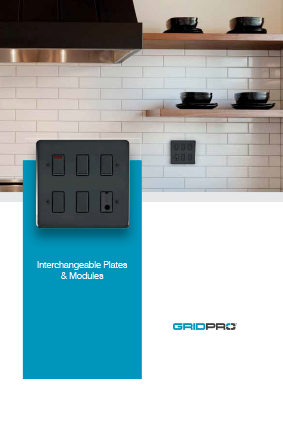 A comprehensive range of finishes and modules available to offer ultimate flexibility. 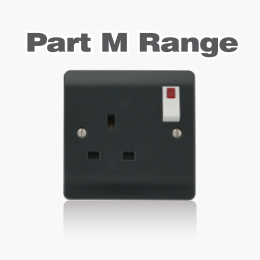 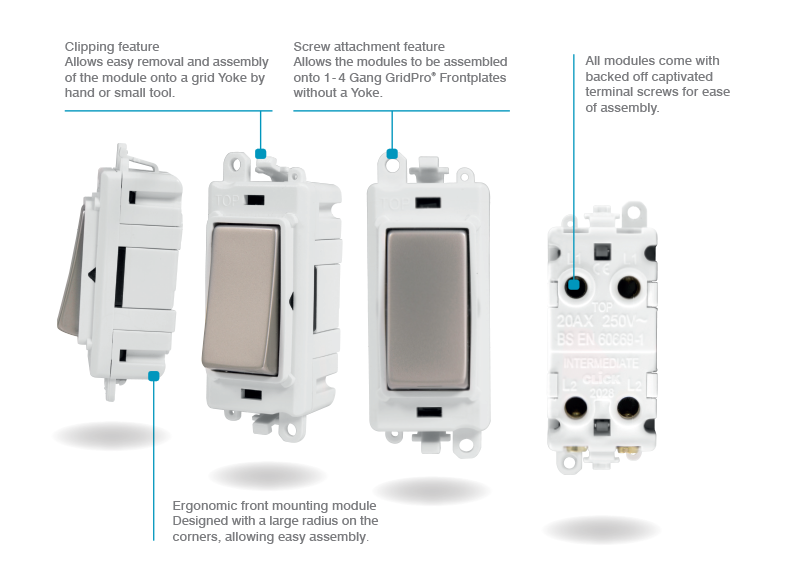 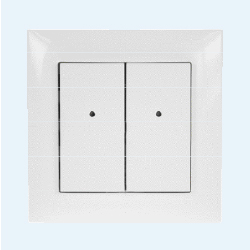 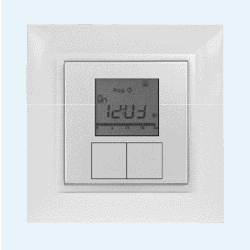 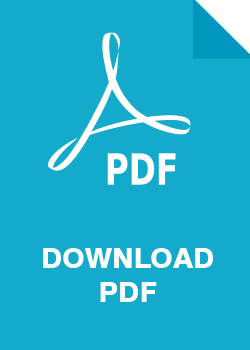 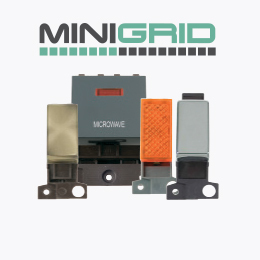 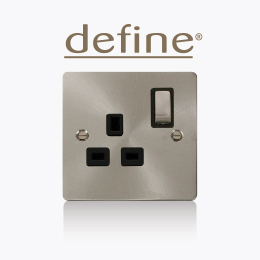 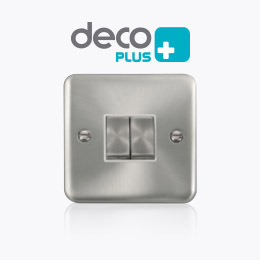 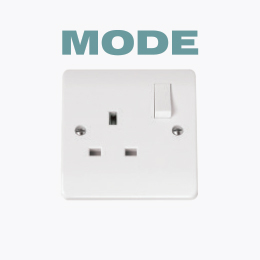 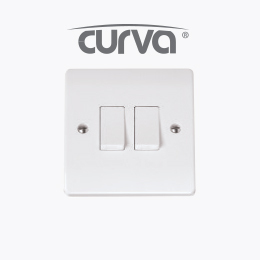 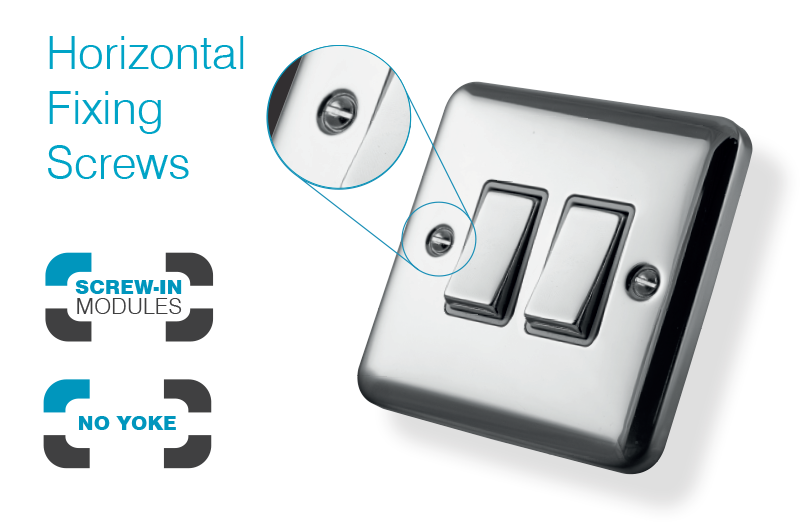 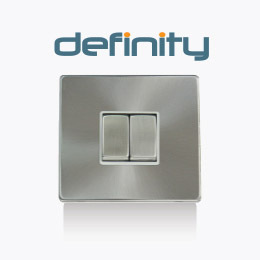 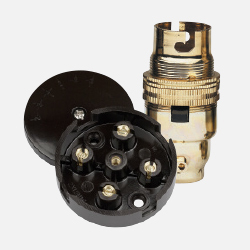 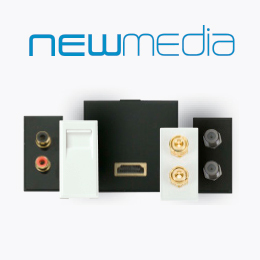 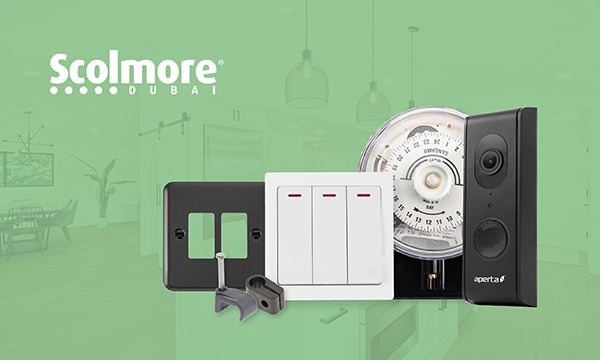 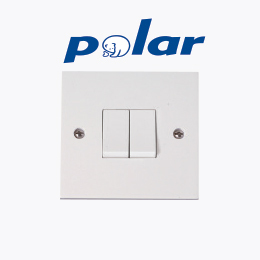 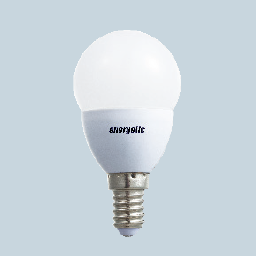 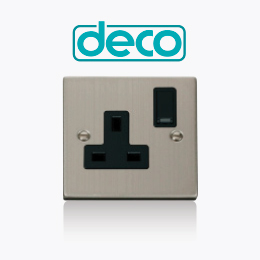 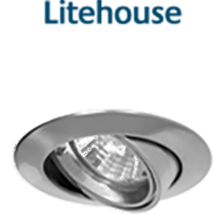 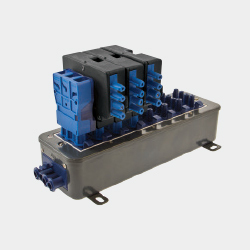 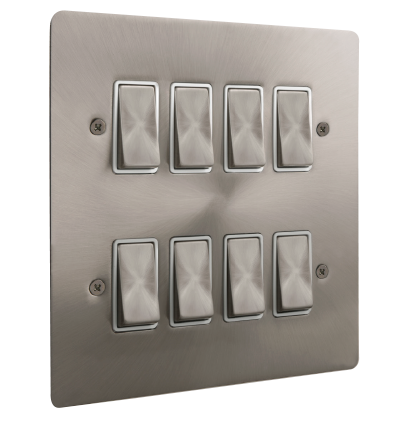 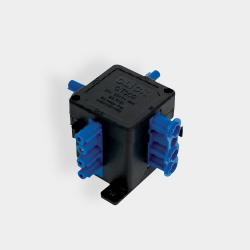 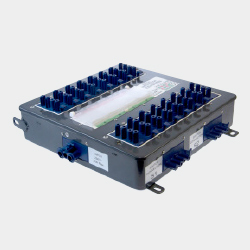 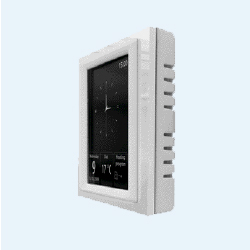 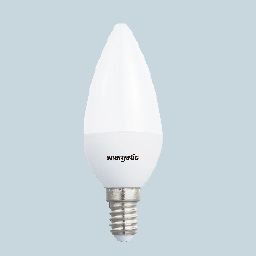 As well as a wide range of modules to choose from all of our switch modules are 20A rated so they are ideal for both domestic and commercial applications. 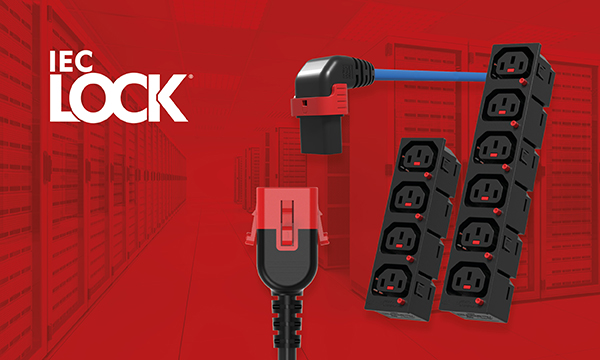 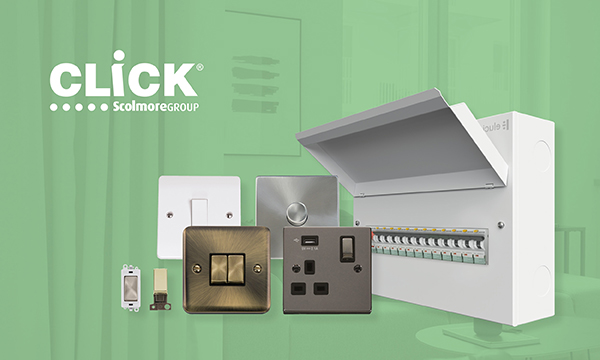 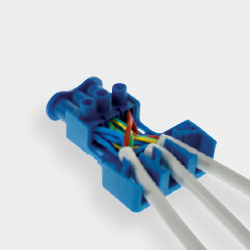 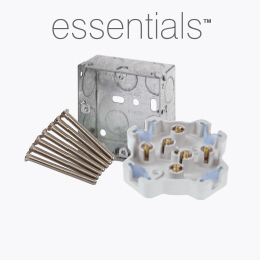 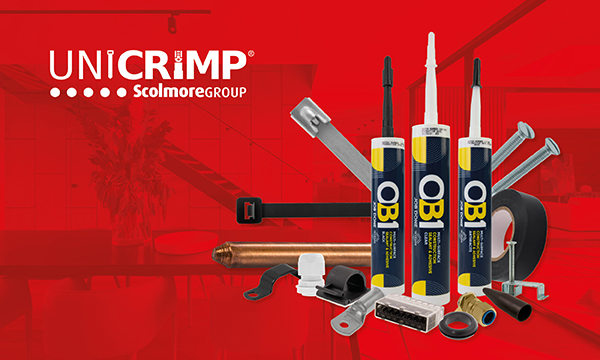 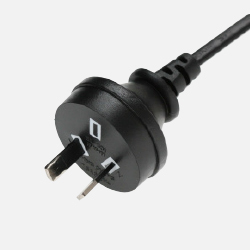 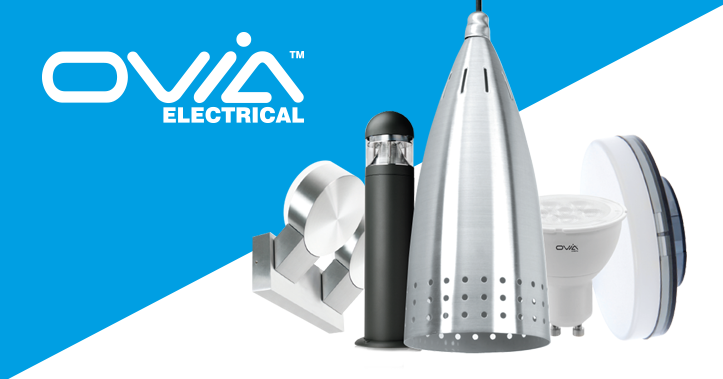 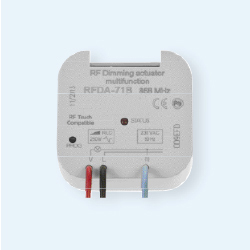 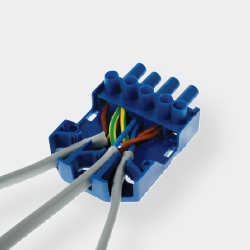 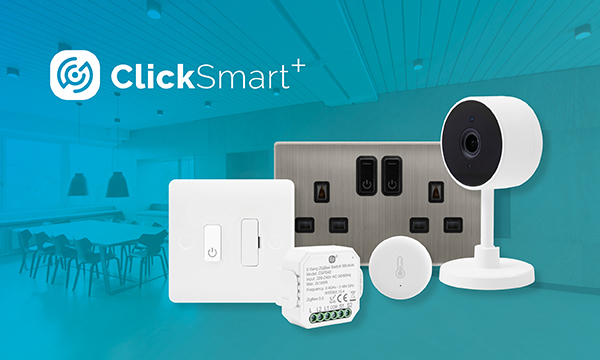 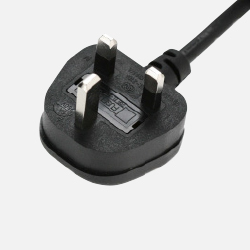 The GridPro® range will complement your existing CLICK® installation, as the range was specifically designed to seamlessly match our existing ranges of CLICK® wiring accessories.